Live bait works well when fishing. Fishing with crickets or grasshoppers can be a lively game until you learn how to get them to stay on your hook. Ideally, a cricket should be alive when you cast, as a live insect attracts the attention of the fish better than a dead one. A dead cricket is still good bait as long as it stays on the hook. Hold the cricket upright firmly but gently in your left hand if you are right handed. Face the head to the left. Alternately, hold the cricket with the head pointed up and the belly facing off to the left. 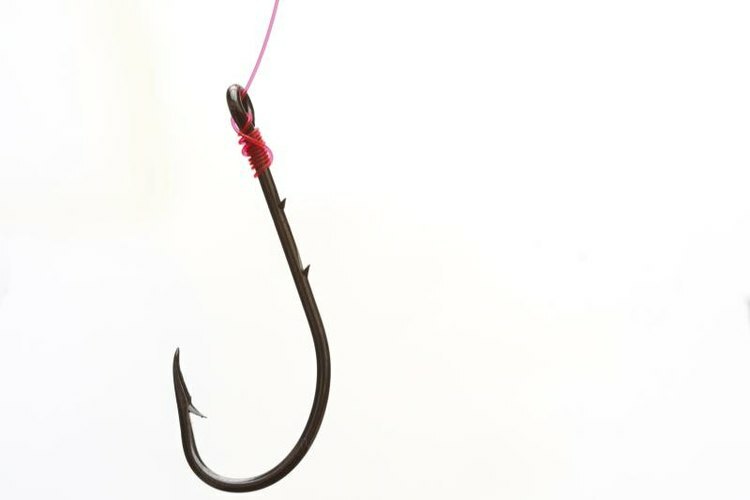 Slide the hook gently into the collar of the insect, just behind the head. Insert it shallowly, as pushing it too deep will kill the cricket. Add one or two split shot weights to the line just above the hook to help the cricket sink. Add a bobber, when in still water, a little farther up the line to keep the cricket in relatively shallow water. Remove the bobber in moving water. If you're an inexperienced fisher, watch your fingers around the hooks.